The EPCOR water rate case has been fraught with numerous issues, both supportive as well as detrimental to the public interest. After two years of receiving huge amounts of public comment, evidence and cross examination in a full blown hearing, the commission’s administrative law judge issued her opinion and order Dec. 31, 2018. After incurring hundreds of thousands of dollars of expenses, it finally looked as though the case would find closure with an ultimate decision from the commissioners. Instead, what happened was one commissioner recused herself and the remaining four voted two for and two against, creating a stalemate. The saga now continues, since the commissioners have, so far, failed their duty to issue a valid decision. Chairman Bob Burns ordered EPCOR to file for interim rates, which is bizarre since the original rate case remains open. Certainly, interim rates should not be allowed at this point. This situation also sets the stage for EPCOR to be forced to file a new case, which begins the process anew. Thus, renewed spending of hundreds of thousands of new costs to rehash what has already been presented, litigated and determined by their own judge. This travesty of indecision by the commissioners puts an unwarranted burden on not only the EPCOR ratepayers and EPCOR, but all taxpayers across the state. After all, everyone gets to share in the additional frivolous costs that will be generated. Residents across the state should send a memo to the commissioners requesting they do the job they were hired for and hammer out a decision to close this case — EPCOR, WS-1303A-17-0257). Vote no for interim rates and save the taxpayers, ratepayers and EPCOR tons of money. 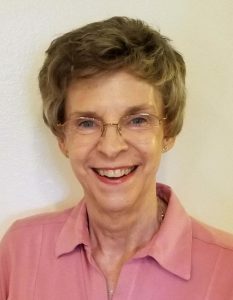 Editor’s Note: Gail Warmath is Sun City Home Owners Association Governmental Affairs Committee chairwoman.